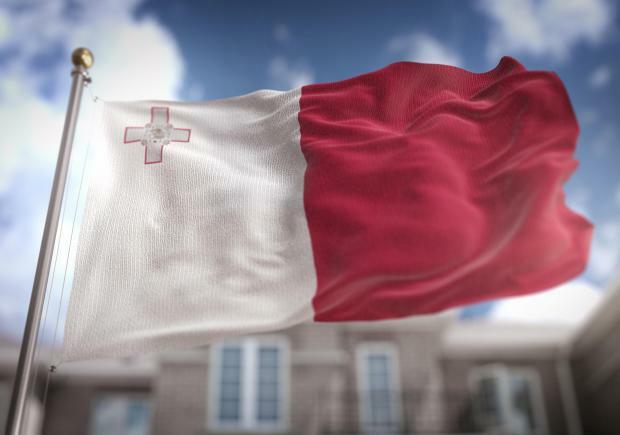 Removing the George Cross from the Maltese flag on the pretext that this is a remnant of colonial times is as absurd as proposing to raze Valletta to the ground, historian Joe Pirotta believes. Prof. Pirotta spoke to The Sunday Times of Malta following the controversial idea floated by broadcaster Charles Xuereb on #TimesTalk. Mr Xuereb, a Francophile, called for the removal of the George Cross and the relocation of colonial monuments to less prominent sites. Awarded in April 1942 by King George VI, at a time when Malta was part of the British Empire, the medal symbolised the defiance of its people against the relentless attacks from the Axis powers. The medal, the second highest award of the United Kingdom honours system, was incorporated in the Maltese flag as from 1943. The prominent historian noted that Maltese still cherished this medal and were greatly honoured to have been awarded such a prestigious recognition for their gallantry. “The idea that Malta got dragged in WWII because it was part of a British colony is an absurdity, as history tells us that during this conflict countries which declared themselves neutral were nonetheless invaded by the Axis powers,” he added. Prof. Pirotta’s criticism was echoed by Fondazzjoni Wirt Artna executive chairman Mario Farrugia, who told this newspaper that removing the George Cross would be “an insult” to all those who stood up against Nazism and Fascism. “The George Cross has become part and parcel of Malta’s long history. If such a proposal were to be taken on board it would pave the way to renouncing 95 per cent of Malta’s heritage as it predates 1964 when Malta became an independent State,” Mr Farrugia said. He noted that the island’s rich history was mainly due to the influence of the various kingdoms, rulers and empires which reigned over Malta for thousands of years. “This idea by Mr Xuereb is an anachronistic one dating back to the 1950s when many countries achieved independence. Seventy years down the line, those countries which had subscribed to the idea are regretting the decision as it is only now that they realised the heritage they had lost,” Mr Farrugia remarked. “The George Cross has become as famous as the Maltese Cross and despite having been awarded by the British Empire it is nowadays mostly associated with Malta and its identity within the Commonwealth,” he added. From a military perspective, Mr Farrugia noted that Malta’s contribution was crucial to changing the tide of war in North Africa, which ultimately marked the beginning of the end for the Axis. “Regretfully, many Maltese are not aware of our role in WWII to disrupt German and Italian supplies and consequently tend to underestimate the importance of the George Cross,” he added. “Had Malta fallen, history would not have been the same. Far from being a romantic view, this is a fact,” Mr Farrugia said.